With British and Empire soldiers all fighting on foreign soil, the role of the hospital ship was vital in providing both medical facilities away from battlefield and for conveying the sick and wounded back to England for treatment. With the extremely high casualty rates at the front dozens of ships were therefore required and had to be requisitioned for use, many from passenger liner or cross-channel ferry companies. A hospital ship (HS) is designated for primary function as a medical treatment facility or hospital and covered by Article Four of the Hague Convention of 1907. Despite this the high command of the German Imperial Army viewed Allied Hospital Ships as violating the Hague Convention and as a result ordered their submarines to attack the ships as part of their unrestricted submarine warfare on Allied shipping. Twelve British, and one Australian, hospital ships were sunk during the war, often in controversial circumstances such as the Llandovery Castle (see Troop Ships section). In this section we focus on some of the hospital ships used by the 5th/22nd Battalion, but this following list and description is a representative sub-section of the 77 hospital ships used by the British Navy in the First World War. Owned by the McIlwraith, McEeacharn’s Line Pty Ltd of Melbourne, the Karoola was initially used as a troop transport (HMAT A63), first sailing from Australia in June 1915 to Egypt. From there she sailed to Southampton where she was converted to a hospital ship with accommodation for 460 patients, including 288 cots. In December 1915, as the Australian 1st Hospital Ship, she arrived back in Adelaide with the Gallipoli wounded on what would be the first of numerous voyages between England and Australia, including in October 1916 when she carried five soldiers from the 5th/22nd that had been wounded on the Somme in France for return to Australia. 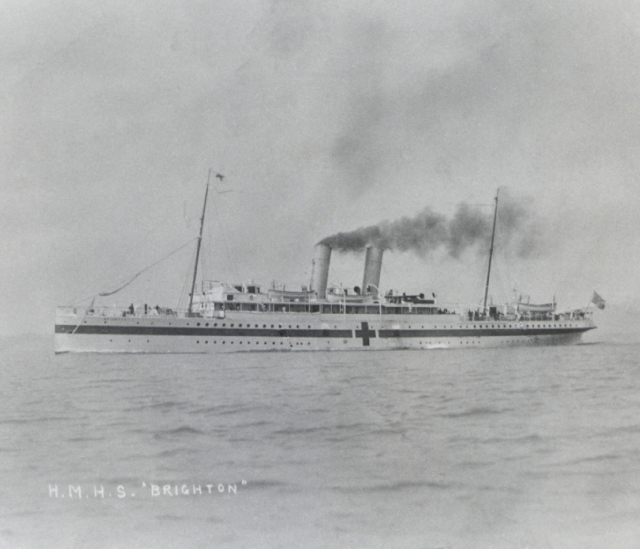 On her outbound voyages in 1916 to 1918 she transported Army Medical, Australian General Hospital, and Hospital Transport Corps reinforcements to England, before returning with more invalided soldiers. The Karoola remained under the charter of the Commonwealth government until June 1919. 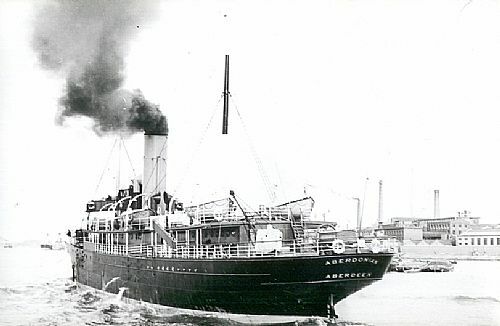 Before the First World War the SS Warilda was operated by the Adelaide Steamship Company sailing the East-West Australian coastal service. In August 1915 she was requisitioned by the Commonwealth and converted into a troop ship (HMAT Warilda A69) at first carrying Infantry and Light Horse reinforcements to Egypt in October 1915 and February 1916, and then a contingent from the Tunnelling Companies to England in June 1916. Later in 1916 she was converted into a hospital ship. 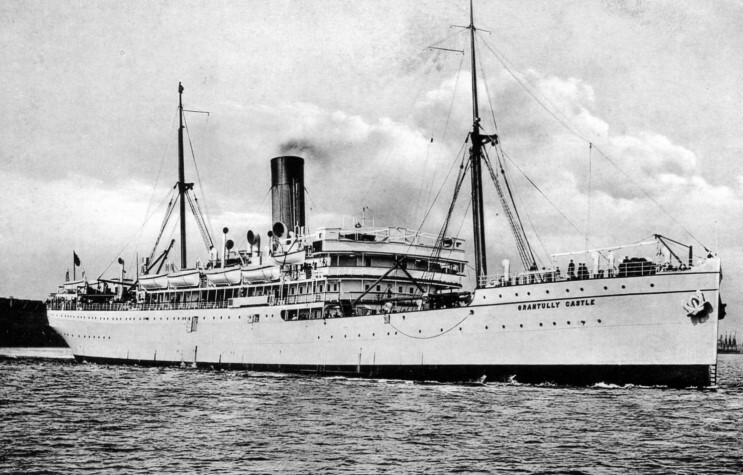 Following the conversion to a hospital ship, HS Warilda spent a few months stationed in the Mediterranean, before being put to work transporting patients across the English Channel. Between late 1916 and August 1918 she made over 180 trips from Le Havre to Southampton, carrying approximately 80,000 patients. In February 1918 HS Warilda was struck by a torpedo which fortunately failed to explode, and the following month collided with another ship the SS Petit Gaudet off the Isle of Wight, the latter being seriously damaged. However worse was to befall her when on 3rd August 1918 when transporting wounded soldiers from Le Havre to Southampton she was torpedoed by the German submarine UC-49 despite the clear display of the Red Cross markings. Damage to the engine room meant she sailed around in a circle at 15 knots, and the lifeboats could not be launched until the steam ran out. One of her escorts attempted a tow, but the line had to be cut and she sank in about two hours. That night the HS Warilda had 801 persons on board with 471 invalids, including 439 cot cases. Sadly 123 people lost their lives, including all the engine room staff, all the occupants of “I” ward (the lowest ward containing 101 “walking” patients), and 19 people from capsized lifeboats. Amongst those that died were fifteen Australians and The Deputy Chief Controller of the Queen Mary’s Army Auxiliary Corp, Mrs Violet Long. The Union-Castle Line was a prominent British shipping line that operated a fleet of passenger liners and cargo ships between Europe and Africa from 1900 to 1977. It was formed from the merger of the Union Line and Castle Shipping Line. Union-Castle named most of their ships with the suffix “Castle” in their names; the names of several inherited from the Union Line were changed to this scheme (for example, Galacian became Glenart Castle) but others (such as Gascon) retained their original name. 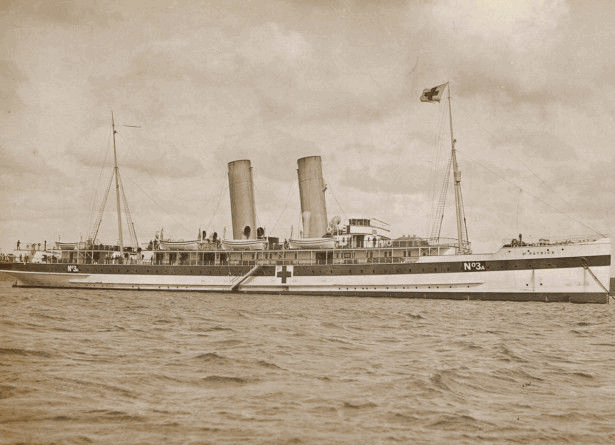 Many of the line’s vessels were requisitioned for service as troop ships or hospital ships in the First World War, and eight were sunk by mines or German U-boats. During the Gallipoli campaign, wounded men from the battlefield would be ferried out by flat bottom boats to hospital ships lying offshore. One such hospital ship that was allocated to the Anzac landings was the ‘Gascon’. By the evening of 25th April 1915, 557 wounded had been evacuated from Anzac Cove and taken on board the ‘Gascon’. It was to the ‘Gascon’ that Major-General Bridges, First Australian Chief of the General Staff, was brought after being wounded at Anzac on 15th May 1915 and where he sadly died of wounds three days later. For the next nine months the ‘Gascon’ ferried over 8,000 wounded and sick soldiers between the Gallipoli Peninsula and the hospitals on Imbros, Lemnos, Salonika, Alexandria, Malta and in England. The staff of the ‘Gascon’ was made up from the Indian Medical Service medical officers, a Royal Army Medical Corps matron, Australian nursing sisters and Royal Army Corps and Indian Medical Service orderlies. 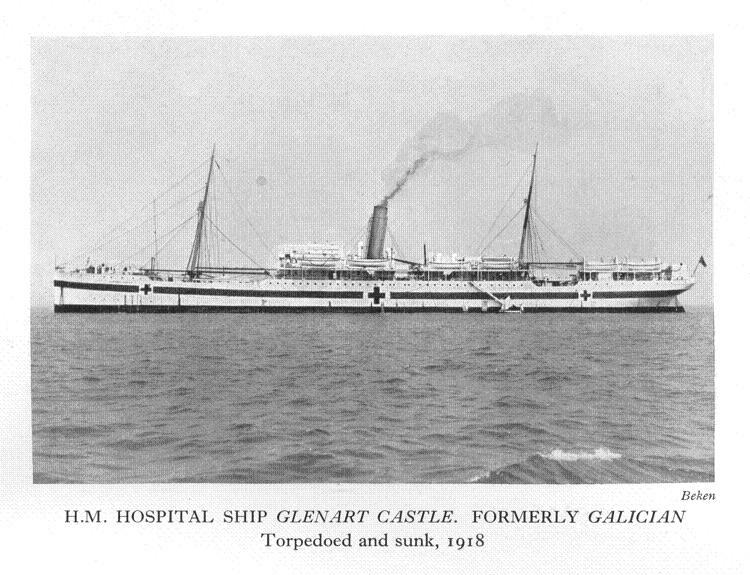 Built as the Galician in 1900 for the Union-Castle Line, she was renamed the Glenart Castle in 1914, before being requisitioned for use as a hospital ship between England and France during the First World War. The Glenart Castle was involved in two major incidents during the war. On 1st March, 1917 when on route from Le Havre to Southampton, the Glenart Castle struck a mine with 520 sick and wounded on board, including 300 cot cases. All patients and crew were saved by destroyers, tugs and trawlers and as the weather was unusually mild, and the sea practically a dead calm, the ship was towed into Portsmouth. At dark on the morning of 26th February 1918, the Glenart Castle was leaving Newport in the Bristol Channel heading towards Brest, France, when despite being lit as a hospital ship she was hit by a torpedo. The blast destroyed most of the lifeboats, while the subsequent pitch of the vessel hindered attempts to launch the remaining boats. In the eight minutes the ship took to sink, only seven lifeboats were launched, and the rough seas with inexperienced rowers swamped most of the boats. Only a few survivors were reported and 162 people were killed including the Captain Bernard Burt, eight nurses, seven Royal Army Medical Corps (RAMC) medical officers and 47 medical orderlies. Evidence later found suggested that the submarine may have shot at initial survivors of the sinking in an effort to cover up the sinking of Glenart Castle. After the war, the British Admiralty sought the captains of U-Boats who sank hospital ships, in order to charge them with war crimes. Kapitänleutnant Wilhelm Kiesewetter — the commander of UC-56 — was arrested after the war on his voyage back to Germany and interned in the Tower of London. He was released on the grounds that Britain had no right to hold a detainee during the Armistice. 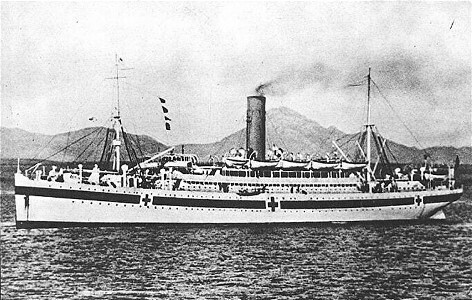 The Gloucester Castle was a steam ship originally operated by the Union-Castle Line but was requisitioned by the British for use as a hospital ship during the First World War, operating in the Mediterranean between Lemnos and Malta and taking the wounded back across the English Channel from the Western Front. On one such voyage from Le Havre to Southampton on 31st March 1917 when carrying 399 patients including 300 cot cases, she was torpedoed by German U-boat U-32 off the Isle of Wight. All the patients were evacuated by the attendant destroyers and other transports, but three unfortunately died during the transfer. Although badly damaged she was eventually towed into port. After the war the Gloucester Castle was returned to her former owners and later served on the round Africa route. In the Second World War she remained in civilian service as a passenger and general cargo liner. On 15th July 1942 she was intercepted and attacked by the German auxiliary cruiser Michel off the coast of Angola. The shells from Michel destroyed the bridge and the ship sank with 93 killed, including the Master, Herbert H. Rose, six women passengers and two children. The remaining 61 survivors were picked up by the Michel and interned at Yokohama, Japan. Owned and operated by the Union-Castle Line, the Gruntully Castle was originally used as a troop ships when she was requisitioned in January 1915. She was later converted in May 1915 into a hospital ships with accommodation for 552 beds. 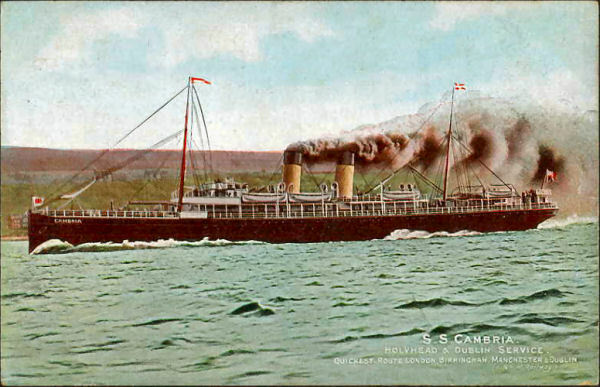 HMHS Gruntully Castle was returned to the Union-Castle Line in March 1919. She was finally scrapped in Scotland in 1939. 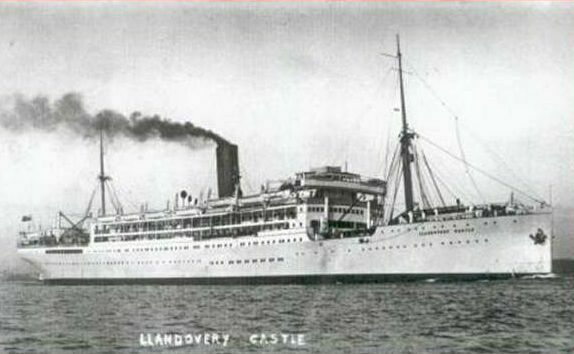 Launched in September 1913 and completed in January 1914, the Llandovery Castle initially sailed between London and East Africa, then London and West Africa. She was requisitioned in 1916 and was used to transport the 22nd Battalion from Alexandria to Marseille in March 1916 as the AIF, and with the 2nd Division at the fore, moved to France for the fighting on the Western Front. She was commissioned as a hospital ship on 26th July 1916, and assigned to the Canadian Forces, equipped with 622 beds and a medical staff of 102. One of the more controversial events during the Great War was the sinking of the Canadian Hospital Ship Llandovery Castle by a German submarine, U-86, on 27th June, 1918. The ship was returning to England after having brought Canadian casualties back to Halifax, Nova Scotia. Being a Hospital Ship, it was clearly identified as such with a brightly illuminated Red Cross, was unarmed and running with full lights. On board, the crew consisted of one hundred and sixty-four men, eighty officers and men of the Canadian Medical Corps, and fourteen nurses, a total of two hundred and fifty-eight persons. HMHS Llandovery Castle was struck by torpedo at night, and despite difficulty the crew and medical staff were able to get into a number of lifeboats before she sank, and they started to pick up survivors in the water. The submarine came up and interrupted the recovery and went alongside the Captain’s lifeboat. The U-boat commander took Captain Sylvester on board and started questioning him along with a Canadian Medical Officer in the belief that the ship had eight American Flying Officers on board. This was denied and the Captain and Medical Officer were allowed back into the lifeboat. However with most of the U-boat crew now below deck in preparation for diving, orders were given to open fire on the lifeboats to destroy the evidence of the torpedoing. Only one lifeboat survived the attack. It was picked up by the destroyer Lysander on the morning of 29th June, 36 hours after the attack. Just twenty four people survived the attack on the lifeboats, including six members of the Canadian Army Medical Corps. All 14 Nursing Sisters on board lost their lives. For the Canadians this was the most significant naval disaster in the war, and given the status of the ship and the medical crew on board was met with outrage. After the war, the British initiated a War Crimes trial against the officers of U-86. The commander, Helmut Patzig could not be found and was never brought to trial. The two other officers, Ludwig Dithmar and John Boldt were tried and convicted. The men were sentenced to 4 years of hard labour, but escaped while underway to the prison. It is unclear if they were ever recaptured. The Great Western Railway’s ships operated in connection with the company’s trains to provide services to Ireland, the Channel Islands and France. In August 1906 the GWR’s Welsh terminal was moved to a new harbour at Fishguard and a similar change saw Rosslare become the principal railway harbour on the other side of Irish Sea although some services were still provided to Waterford. This work was undertaken in a joint venture with the Great Southern and Western Railway of Ireland known as the Fishguard and Rosslare Railways and Harbours. Three ships – the St.David, St.George and St.Patrick – were operated on this route from 1906 to be joined two years later by the St.Andrew. The St. David was requisitioned in August 1914 and with a capacity of 157 berths and 23 cots used as a hospital ship during World War I, where she remained until decommissioned in January 1919. As one of the first five military hospitals at the beginning of the war, from the period 24th August to 3rd September 1914 these vessels made 9 trips in total, from either Le Havre or Rouen, across to Southampton, carrying a total of 3,787 patients. In 1932 she was renamed Rosslare and was sold for scrap the following year. Along with her sister ships the St. David and St. Andrew she was one of the first five ships to be requisitioned during the First World War and converted to a hospital ship with a capacity of 146 berths and 28 cots, remaining in service until January 1919. After the war she caught fire while moored at Fishguard in April 1929 and was then sold for scrap the following year after her engines had been transferred to the St Andrew. The SS St. Andrew was the fourth vessel to operate on the Rosslare (Ireland) to Fishguard (Wales) service for Great Western Railways. In August 1914 she was taken over by the Ministry of Defence and commissioned as a Military Hospital, one of five in the first month of the war, with a capacity of 155 berths and 23 cots. Sailing across the English Channel between France and England she remained in service until May 1919 when she was later renamed the MV Fishguard before being withdrawn and scrapped in 1933. 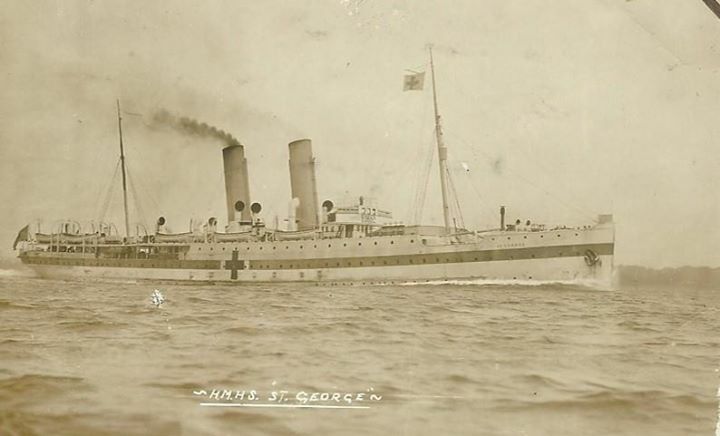 The St. George was converted to a hospital ship in May 1915 with a capacity of 146 berths and 115 cots, and remained in service until December 1917. After the war she was sold to the Great Eastern Railway for use on their services from Harwich. Founded in 1846 Regie voor Maritiem Transport was the Belgian state-owned ferry service and operated ferries on the Ostend-Dover route under the name Oostende Lines. The demise of RMT was a direct result of the opening in 1994 of the Channel Tunnel. RMT ferries saw use in both world wars. Early in the First World War, the turbine steamer Jan Breydel evacuated Elisabeth of Bavaria, Queen of Belgium and the royal children on 28 August 1914. Later, vessels of the line evacuated diplomats, troops and important officials before the fall of Antwerp. Later, the paddle steamer Princesse Clementine and turbine steamer Princesse Elisabeth were employed as fast military transports between Dover and ports in Flanders, whilst the paddle steamer Rapide and turbine steamer Stad Antwerpen saw service as hospital ships. 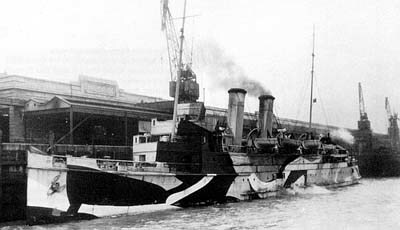 The company’s newest vessel at the time, the turbine steamer Ville de Liège, was used as a fast evacuation transport (technically not a hospital ship, as the steamer was armed and painted in dazzle camouflage). When the Germans arrived in Ostende on the 17th October 1914, the city had been evacuated and on that date the Ville de Liege was handed over to the English Ministry of War. During the battle of the Ijzer the vessel conducted missions along the Belgian and French coast transporting wounded and materials to and from the west corner of Flanders. On the 2nd September 1915 the vessel left for Dover to be converted to a hospital ship, where under the command of the Ministry of War between the 21st June 1917 and the 31st December 1918, the vessel conducted 252 trips and transported 77,194 wounded and 36,356 soldiers. Owned by the Aberdeen Steam Navigation Company, with accommodation for 245 casualties the Aberdonian saw service in the First World War as one of the smaller hospital ships first in Gallipoli operating from Helles, then in the English Channel until the end of the war. She was also requisitioned for service in the Second World War as a temporary maintenance ship for Auxiliary Patrol Motor Boats then as tender to Britannia II. The Aberdonian left service in March 1945 and was sold for scrap in December 1949. 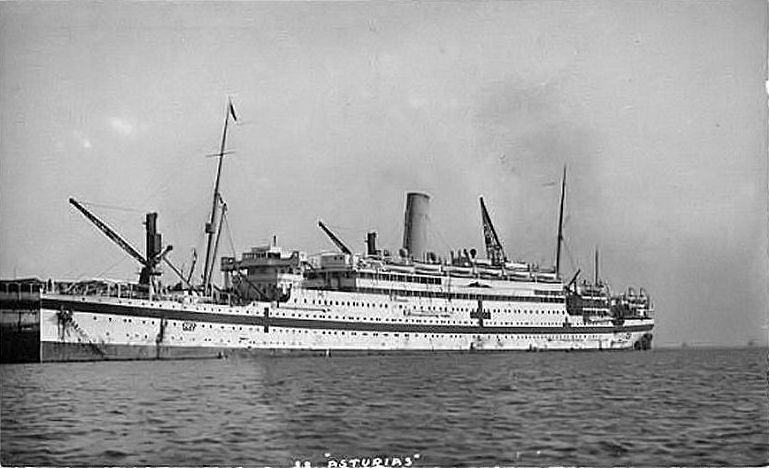 The Asturias was operated by the Royal Mail Steam Packet Co. and went into service on the Southampton – Buenos Aires run. She had a capacity of 1,430 passengers, of which 432 were 1st class, 223 2nd class, and 775 3rd class. When war with Germany was declared in 1914 she was requisitioned by the British Admiralty and converted into a Hospital Ship making regular crossings to France carrying back the wounded from the Western Front. She had accommodation for 896 patients, but on one occasion due to very heavy casualties at the Front, she transported 2,400 sick and wounded. She served in the Eastern Mediterranean during the Dardanelles Campaign, returning wounded from Gallipoli and Salonika to Malta and the UK. In February 1915 the HMHS Asturias was hit by a torpedo but it failed to explode. 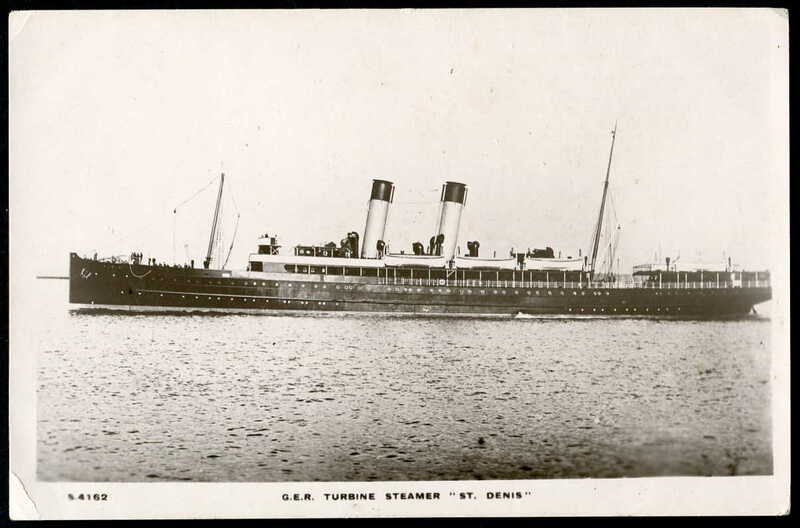 However on 20th March 1917 after landing 1,000 wounded at Avonmouth in the Bristol Channel, the Asturias was attacked by German submarine off the south Devon coast and struck by a torpedo which blew off her stern, killing 35 of her crew. The Captain of U20 which sank the Asturias was Capitanleutnant Walther Schweiger, who two years before had been in command of the U-Boat which sank the Lusitania. She was able to be beached near Bolt Head but her damage was so extensive that she was declared a total loss. However her hulk was put to use as a floating ammunition store at Plymouth for the rest of the war. After the war her hulk was repurchased by Royal Mail Line in 1920 and rebuilt as a Cruise Liner, renamed the Arcadian where she operated Mediterranean and West Indies cruises until 1930, and was finally scrapped in 1933. The Brighton was originally built for and operated by the London, Brighton and South Coast Railway, and used on their Newhaven to Dieppe route. 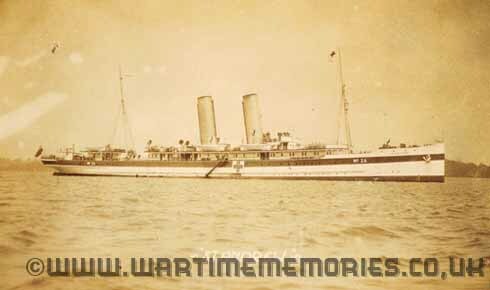 In 1914 she was requisitioned by the British Royal Navy for use first as a troopship then converted to a hospital ship. On 19th December 1914, she rescued the survivors of the naval trawler HMT Orianda, which had been sunk by a mine in the North Sea off Scarborough, Yorkshire. At the end of the war Brighton brought the American President Woodrow Wilson back to Dover after the signing of the Treaty of Versailles, before being returned to her owners in 1920. In 1930, Brighton was sold to W E Guinness, who converted her to a private yacht named Roussalka. Her steam turbines were replaced by a diesel engine and one of her two funnels was removed. On 25th August 1933, in thick fog, Roussalka was wrecked on rocks in Killary Bay, Ireland. All passengers and crew were rescued. The Cambria was built for and operated by the London and Northern Western Railway in 1897 in response to the competition launched the previous year by the City of Dublin Steam packet Company and their steamer that was capable of 24 knots, and therefore reducing the Holyhead to Dublin crossing time to under three hours. She was requisitioned by the Admiralty as an armed boarding steamer in 1914 and became a hospital ship after August 1915. After the First World War she was renamed TSS Arvonia in 1919. In August 1922 she was again requisitioned as a troopship, this time by the Irish Free State along with the SS Lady Wicklow, before being scrapped in 1925. As with the Brighton, the Dieppe was built for and operated by the London, Brighton and South Coast Railway and used on the Newhaven to Dieppe route. She was requisitioned by the Royal Navy in the First World War for use as a troopship and then later as a hospital ship. On 27th February 1916 she took aboard over 100 survivors from the P&O passenger liner Maloja, which was sunk by a mine off Dover. Dieppe was returned to her owners after the war and passed to the Southern Railway in 1923. In November 1924 Dieppe had a mishap in which she ended up hitting the breakwater at Newhaven Harbour stern first. One of the tugs, Richmere, that was sent to help her got into difficulty and sank after hitting the harbour wall, though all crew were rescued. In September 1933, Dieppe was sold similarily to W E Guinness for conversion to a private yacht. She was renamed Rosaura, replacing MY Roussalka (formerly the Brighton) which had been lost earlier that year. In August 1934, the Prince of Wales and Wallis Simpson took a cruise on Rosaura, and according to Wallis, it was on this cruise that she fell in love with the Prince. Also in 1934, Winston Churchill and his wife Clementine cruised on Rosaura in the eastern Mediterranean. In September 1936, Rosaura was in collision with the Dutch coaster Henca at Amsterdam and though severely damaged was subsequently repaired. Rosaura was requisitioned by the Royal Navy in the Second World War for use as an armed boarding vessel in the Contraband Control Service. In February 1941, Rosaura was involved in Operation Abstention, the invasion of the Italian island of Kastelorizo off Greece. On 18th March 1941 Rosaura struck a mine off Tobruk and sank claiming the lives of 78 people. Owned by Great Eastern Railway Company, Harwich, and originally named the Munich, the St.Denis was used as a passenger ferry between Harwich and the Hook of Holland. She was converted to a hospital ship in 1914 for use throughout the First World War. Owned and operated by the Booth Steamship Company the Lanfranc was an ocean liner and used on the passenger service between Liverpool and Manaus, situated about 1,000 miles (1,600 kms) up the Amazon River in Brazil. With the outbreak of war she was requisitioned and used as a hospital ship transporting wounded soldiers from the front across the English Channel. 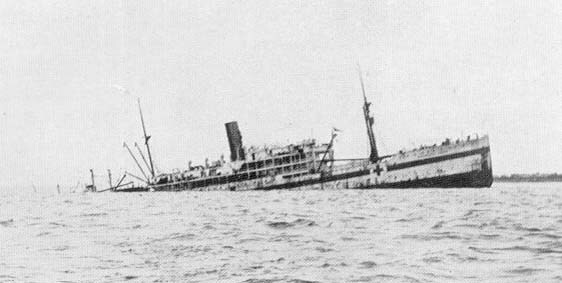 On the evening of the 17th April 1917, HMHS Lanfranc was on route from Le Havre to Southampton when she was torpedoed without warning. On board were 387 patients of which 326 were cot cases many of which were seriously wounded with fractures and amputations. Included amongst the patients were 27 German officers and 140 German other ranks. 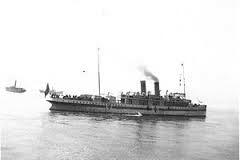 The ship sank rapidly and twenty-two British soldiers, including two officers, and eighteen German other ranks died.